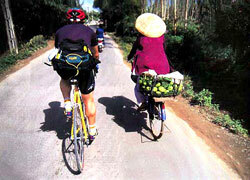 We've crisscrossed the region since 1993 (read this Escape Magazine 1994 article on our first Vietnam bike tours). Places change, for better and worse, while there are certainly new fascinating areas opening up, like northern Laos and Myanmar, there are places you should not miss no matter what, including delightful Vietnam. What to know about our trips? 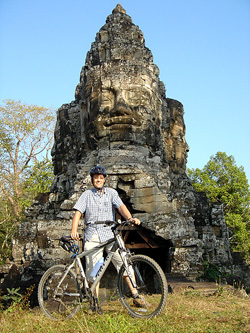 Aside from a handful of annual tours, such as our Iron Chef Vietnam trip, we organize only private, custom-tailored bicycle and adventure tours, from unique one-off itineraries, shorter tours for those with limited time, classic routes such as Vietnam's central coast, overland to Laos, Japan's sublime Shikoku Island, to our favorite— family trips. All of our private tours are planned to the unique preferences of our travelers. Contact us to plan your trip. 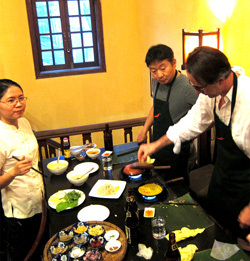 Anyone who has traveled to Vietnam will mention three things that stood out most: the people, the scenery, and the food. 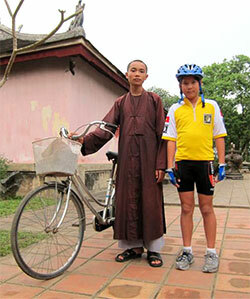 This biking trip emphasizes all of these with sightseeing from the vantage point of the saddle canvasing the highlights of the country all the way from Hanoi to Saigon. 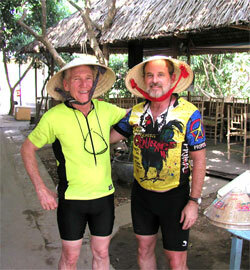 Join us for this exceptional tour in Vietnam, where it is as true as anywhere else -- riding is the best excuse to eat! Dates: Choose your dates: custom tour! Our Highlights tour encompasses just that — the "highlights" of Vietnam more, including all four wonderful UNESCO World Heritage sites. We've organized this "classic" trip for over 16 years but keep each edition fresh with new routes and activities. Explore historic Hanoi and witness the rush of modernization in Saigon, in between exploring villages where little has changed in hundreds of years. 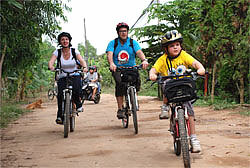 Since 1993, we've hosted hundreds of families in the region on a variety of trips, not just bike tours. Kids of all ages will enjoy kayaking on Halong Bay, biking, hiking and boating in Ninh Binh, thrilling cyclo rides in Hanoi, delightful villages on the central coast. 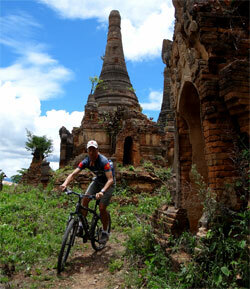 The remarkable and unique World Heritage sites in Indochina should be the focus of any trip to the region. 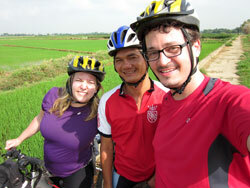 This itinerary explores them in depth by bike, hiking and kayak. What better way to explore the passages between temples at Angkor by bike, the stunning river valleys north of Luang Prabang, and the karst wonderland of Halong Bay by the vantage point of a kayak? 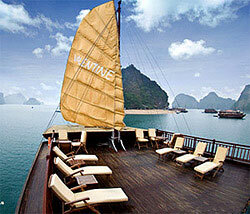 Vietnam—On everyone's must-visit country list, as well it should be. Vietnam's stunning landscapes offer the backdrop for exceptional adventure and an amazing culture that is historically familiar, yet far different than any other. 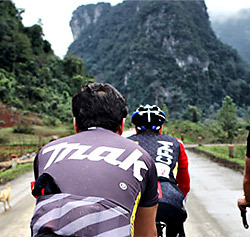 As travelers ourselves, Vietnam remains our favorite places in the world to explore, both on and off the bike. Come take advantage of our many years traversing this incredible country and region before it changes forever. 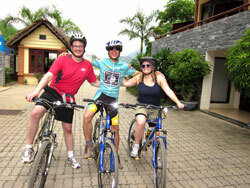 With the exception of the few tours listed here, almost all of our biking trips are private ones, custom tailored to the interests of families (our favorite guests), groups of friends, and other small groups. 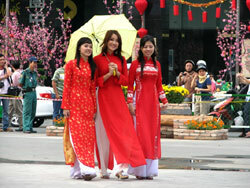 Contact us about organizing your private trip for an exceptional time in Vietnam. And if you've traveled with B&R or other companies before, you can expect similar high-quality, but a more comprehensive trip at of course a much better value. With the delta on Saigon's doorstep you would think the place would be overrun with tourists. Not so. This sprawling "rice bowl" is little traveled, yet offers a wealth of sights and experiences for those who care to explore and is one of the region's last great overland adventures into neighboring Cambodia. Don't see dates for your time of travel? Almost all of our tours actually are private, custom-tailored ones for couples, families, friends and other private groups. 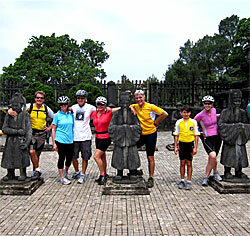 Private trips allow for maximum flexibility at similar cost of our regular tours. ** Depending on number of participants, this cost is based on 12 persons. Some unique adventures we have previously organized in the region, seasonally, one-of-a-kind, or periodically. These trips may be organized only as private tours. Please contact us for more information.